To Europe With Kids: 150,000 Free Bonus Miles from American Airlines! Back in December, I posted about an unbeatable credit card offer from British Airways Visa that featured a sign-up bonus of 100,000 frequent flier miles. Well, I guess it wasn’t so unbeatable after all, because a current offer from American Airlines is even better. Good thing I follow Boarding Area.com – the author is obsessed with miles and points and that’s where I find these scoops. 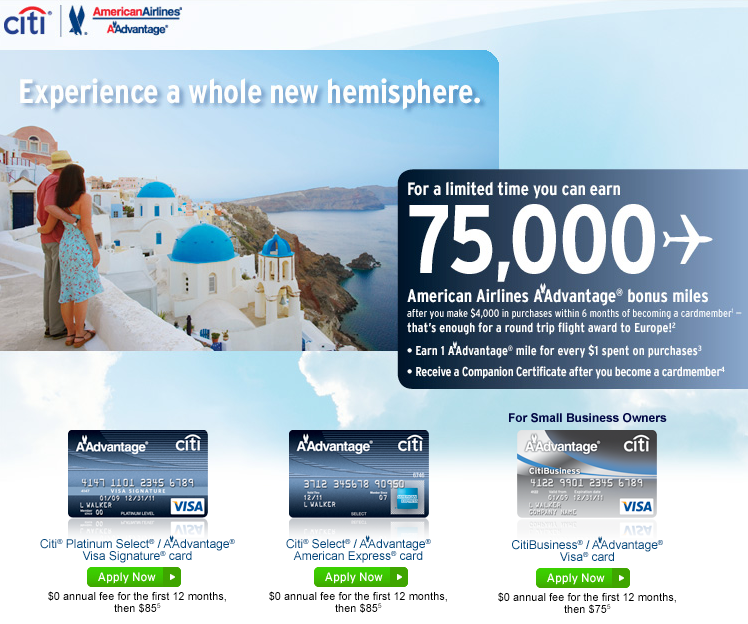 Basically, from now until February 28, 2011, you can earn 75,000 American Airlines AAdvantage® bonus miles when you apply for a Citi® AAdvantage® Visa or American Express card and after you make $4,000 in purchases within 6 months of becoming a cardmember. The annual fee of $85 is waived for the first year. 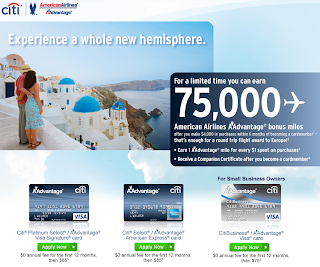 THEN, you can ALSO apply for a CitiBusiness® AAdvantage® Visa card and earn another 75,000 bonus miles after you spend another $4,000 in the first 6 months. The annual fee on the business card is $75 and is also waived the first year. 150,000 miles is enough for two free tickets to Europe! These miles never expire, either. I’ve already applied and am ready to go! Hmm... now I'm wondering if we could spend $4,000 in 6 months, because this is a GREAT deal! Hello plane tickets!